Arsenal – Liverpool : what can we expect from the ref? So here we are again with another article that gives a preview of what could be our biggest opponent in our next game. And allow me to say that it always is nice when the hard work our ref reviewers have done over the years come together with the reality out there. If you stay with us to the end you will see what I mean but I can tell you now that our referee reviews and the general statistics on this ref are evidence of the quality of our reviews. And confirm many of my so called rants at referees. The ref for the Arsenal – Liverpool game is Kevin Friend. Kevin Friend is 41 years old. Or standing in my time line: young. And he is around in the PL since September 2009. So with some 4 years of experience under his belt he seems to be ready to take on bigger games. Let me start with noticing that the PGMOL is somehow reluctant to send him over for Arsenal games. You know that we have Dean 6 times in the PL last season and this season it looks to be no different. We have other refs 5 times a season. And then we have a ref like Friend who we only have once in a season. Because in the 4 years he has been in the PL he has only done four Arsenal games. That really seems to be a strangely low number if you ask me. Hey you from the PGMOL who are reading this: tell me why. Thank you. If only all ref graphics would like this. Now of course 4 games is not a lot to make final conclusions. But later on I will give you a further analysis of the ref and then we might see some more interesting things. 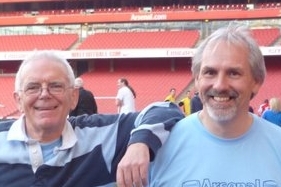 The first time we had Friend was in the FA cup away at Leyton Orient when we had a 1-1 final result. As he was new to me in those days I still remember writing something in the style of: Friend was not my friend in this game. But after that we won all our games. And thus far this season we have had him in the PL and won 6-1 against Southampton at home and he also was the ref in the League cup at Reading which we won 5-7. So we seem to score a lot of goals when he is around. Also not a bad number of results for Liverpool. The two defeats Liverpool suffered was in away games. Try to remember this sentence. It will come back later in this article. So what did we find in our review of last season? Well you can read it here but if you don’t want to click on that link I will give you the most important numbers here and now. If we looked at the competency score he was well above the average score we found last year. With a score of around 78% of correct decision this is 6% better than the average league score of 72%. In competency he was the 3rd best ref of the PL in our review last season. So that is nice. His worst number was with offside decisions but this is mostly down to his assistants of course. But his foul calling in general was rather excellent. But we also found in general a strong home bias above the league average. And I suggested that you to remember a certain thing earlier in this article. As I pointed that the losses Liverpool suffered were when playing away from home. Now I’m not saying that those losses were down to referee mistakes or anything like that but in general the ref is more a home ref than an away ref. Our numbers showed it and when we look at his statistics of those two teams the seem to confirm this. (Allow me as our chief referee reviewer to have a small refgasm). When we look at the bias per team we can see that he did no games from Arsenal last season in the PL. Rather strange I would say. Maybe his record prevented him from doing Arsenal games? I wonder, Mike. There was also a small negative bias against Liverpool but only marginal. And this also could be down to the fact that we reviewed an away game from Liverpool. Anyway a bias score of -1.000 last season was considered to have an even score. If we look at the incidents he has had in his career it looks rather good. Not many high profile errors. He has had his critics. He was criticised by Tony Pulis. Which for me is more a good reference than a bad. He also got criticised for handing out too many yellow and some red cards. Also rather good things for me. He even got criticised for disallowing a goal because of an attack on the keeper. This all sounds like music in my ears. So what have we found about this ref from the past? A rather competent ref and one of the better refs of last season. He finished in 4th place (a CL place one could say) in our reviews of the past season. In competency he finished in 3rd place but his home/away bias made him sink to 4th place in total. He doesn’t give much penalties. Only 2 penalties in the 13 games so far involving Arsenal and Liverpool. Both in favour of said teams by the way. If the ref confirms his past in this game I am looking forward to a good performance from this ref. I know he can be a great ref. And we play at home. So we can hope that he does as he usually does his games. Giroud: from flop to not that bad at all? 29 comments to Arsenal – Liverpool : what can we expect from the ref? I’m reminded of the old war-time saying “My enemy’s enemy is my friend”. (Sorry, but couldn’t resist it). Full of cynicism, after what seems a lifetime of scathing ref reviews from Walter and his chums, all I can wish for is a firm Arsenal win tomorrow night IN SPITE OF THE REFEREE. So basically Walter what your saying is get down the bookies and stick some money on Arsenal. Lets forget Friend and play our game.I badly want this win, because i’m optimistic that either of Spurs or Everton is going to lose points in midweek. You never know, come Saturday evening, we might be 4th. We had Howard Webb at Anfield and he has a history of favoring Arsenal over Liverpool, Anyone got any ideas as to why Liverpool seem to be getting it rough with us? So the ref could be Goofey for all I care, we just need this win! On holiday now in a steaming hot place, so cant watch it live, really hoping that my tv cable phone app works and will record it. As much as people will appreciate this review it really doesn’t matter. I’m not having a go at your work Walter so don’t take offence but we should treat the ref’ like he isn’t there and concentrate on our game, starting with a high tempo, pressing and fluid play. If we get those ingredients correct then we will win, if not, we don’t have a “plan B” so will come unstuck. Giroud and Podolski to bag 1 each. Walcott to add a further 2. 4-2 to the mighty Arsenal. God I hate this ‘hav’nt got a Plan B’. Please tell me what Utds, Cities, Spurs, Evertons Plan B’s are? For pities sake Utd NEVER change there game. City basically go all out if they expect a win or barely cross the 1/2 way line if they think it might be tough so I suppose thats some form of Plan B. Spurs have BALE end of. Unless you think ADI is there ‘plan B’. If so they’d be better off skipping to ‘Plan C’. As for Everton I might suggest that Fellini’s Plan A B and C. Just leave it alone with this Plab B rubbish !!!!!! I’m looking forward to this game. The only blots on Mr Friend,s copybook this season seem to be in games involving Manure where he seems to be very much in favour of Fergus. In the two games featuring Liverpool and us he seems to be rather good. He did the Liverpool v Wigan game in which every decision was right – 100% so no bias there. He also did our game with Southampton where he got an 84% rating with a 50/50 bias. So on paper an excellent referee who is unlikely to tip the balance one way or the other. Mind you past performance should not necessarily be used as a guide to the future. how can we treat the ref as if he is not there. when he is not letting us play. if a refree sees a simple minor infraction from an arsenal player he’ll give a foul, while he lets it go were it for the opposing player. our play depends on how competent the ref is. if our player feel the ref is biased , they’ll try to be protective of themselves. hence, they’ll be restrictive e.g. vs stoke. Let’s hope he shows no bias, this should be a good game(our games with pool usually have lots of goals). Hoping for a win, and should it not turn out that way it’d be nice to have a game against one of the so-called big clubs whose outcome isn’t influenced by the ref(something we can’t say so far; united, city, chelsea, we will never know what the outcome would’ve been had the refs been fair). @ Jambug, City appear to be trying plan B at the moment – moonballs to Dzeko…. The truth is plan B is not always successful. Barca had never had a plan B the last 5 or 6 years. They only do their plan A from the first till the last minute of the game. Hope he performs as well tomorrow. Especially on any fouls. Got it ! Unbiased ref ,who may lean away from ‘Pool and slightly favour the home team . 3-1 it is then ! @ Shard , then I’ll be downgrading it to 2-1 ! And hopefully it’ll be warm and scarves won’t be needed ! The title should actually read ‘ it doesn’t matter what the title is or what the ref does or how the game goes, someone will always be unhappy with it’. Generally when we have a referee who’s read the laws of the game and has no major bias, we win. When we beat Barca at the Emirates I seem to recall the ref was calling fouls by our players continuously but not taking any diving crap from theirs. The title should read ignore anything the ref does because it obviously has no effect on the game whatsoever, unless he sends off Adebayor when Spurs are one nil up. By the way Loseepoo-l did a good job parking the bus….